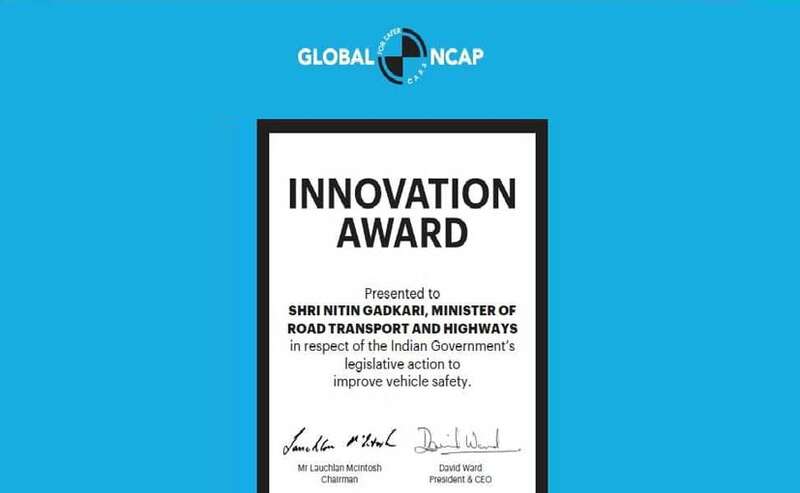 Nitin Gadkari, Minister of Road Transport and Highways of India, was presented with an Innovation Award by the top Management Of Global New Car Assessment Program in respect of the Indian Government's legislative action to improve vehicle safety. 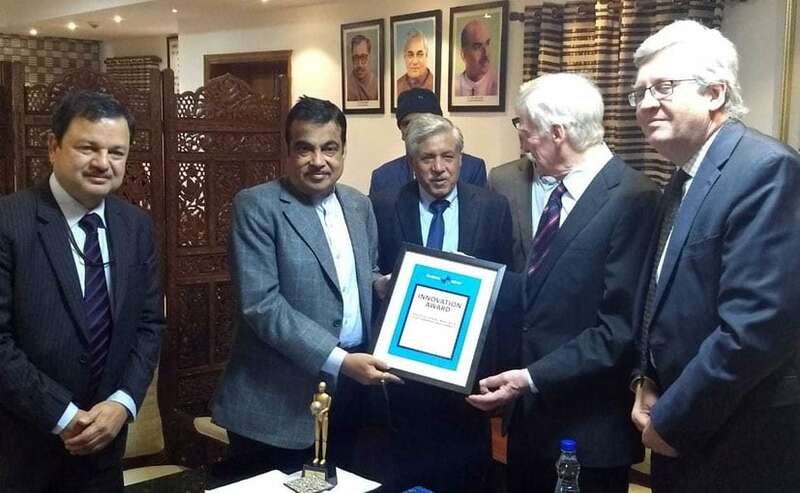 David Ward, President, Global NCAP and Max Mosley, former chairman, Global NCAP presented the award to Nitin Gadkari and Abhay Damle, joint secretary, Ministry of Road Transport and Highways. The Global NCAP thanked the Indian government for its strong support of the Safer Cars For India Campaign. At the ceremony, David Ward, President- Global NCAP said, "We are very pleased to be in Delhi, to present the Global NCAP Innovation award to the Indian government. It's in recognition of their legislative action taken over the last few years to hugely improve vehicle safety and adopting crash test standards both for occupant and pedestrian protection. Also for motorcycles, very important that we don't forget two wheelers. So anti lock brakes in motor bikes, automatic headlights on, all of these measures. We also very much appreciate the commitment that's being made to introduce electronic stability control by 2021, because we want to see improvements in crash avoidance as well as crash protection. But the Indian government has been very, very strong and supporting their arguments for legislation and in doing so, also demonstrating the validity of the crash test work that we have been doing over the last few years." India's journey of vehicle safety started off in the right earnest in 2014, when the first ever made in India cars were crash tested by Global NCAP. 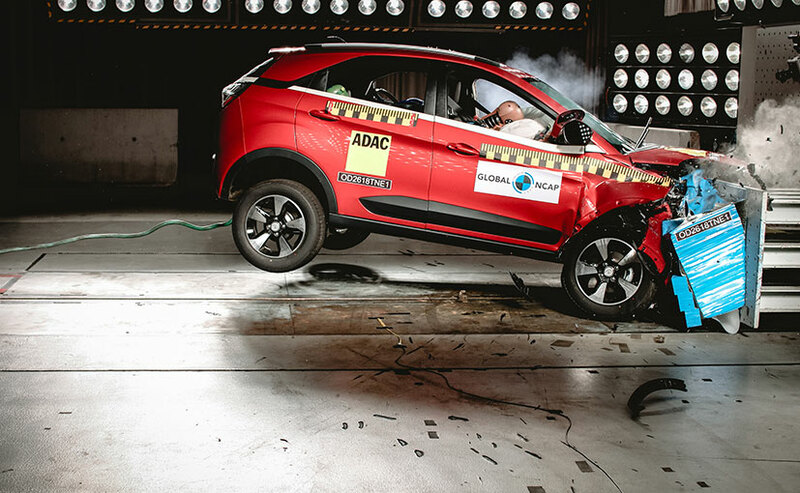 The first few cars did not fare well, but fast forward five years, we already have the Tata Nexon as the first ever, made-in-India car to get a 5 star rating from Global NCAP, which has perhaps the most stringent crash test safety norms. With Tata Motors opening the 5 star score, Mahindra is not far behind, with its Marazzo getting a 4 star rating. More and more automotive manufacturers in India have started putting in solid efforts towards making safer cars in India and exporting them to other markets as well.